How can I set up a new Outlook.com account using a Hotmail account? How can I setup a new outlook.com account in the Android mail application? Outlook.com only supports Exchange ActiveSync, when I try to automatically create an account in the mail app it uses smtp.live.com (because my login is a hotmail account). What should I change the server settings to in order to use outlook.com's exchange servers? I am using a Sony Xperia P which is currently stuck on Android 2.3.7. 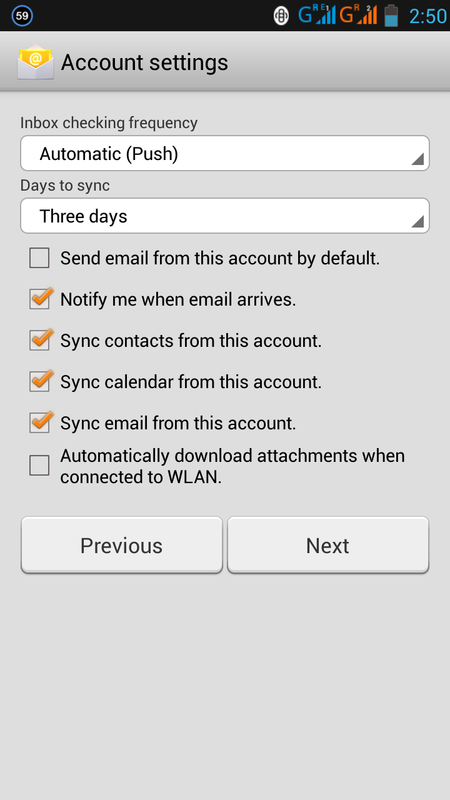 It appears to support Exchange ActiveSync. Please Use the settings below for your outlook.com account. How can I set different ringtones - one for new email and one for new SMS in Nexus One? How do I cancel a half completed email configuration? How to get mail sitting in Outbox to be sent out? 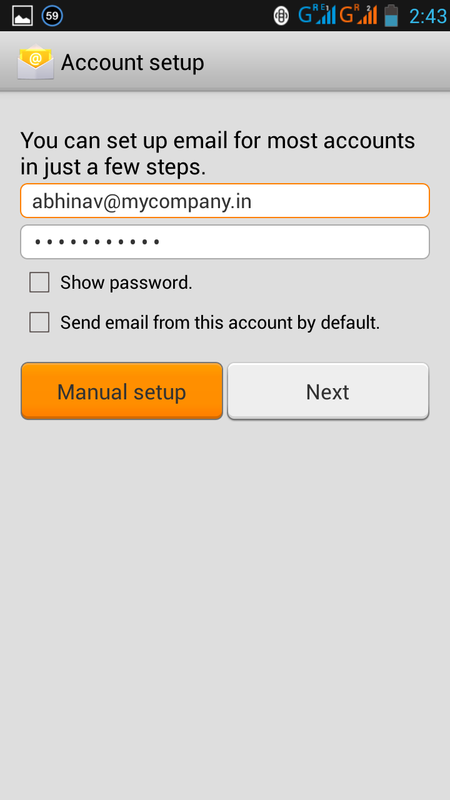 Android E-Mail App: How to limit contacts for new email to contacts of specific account? 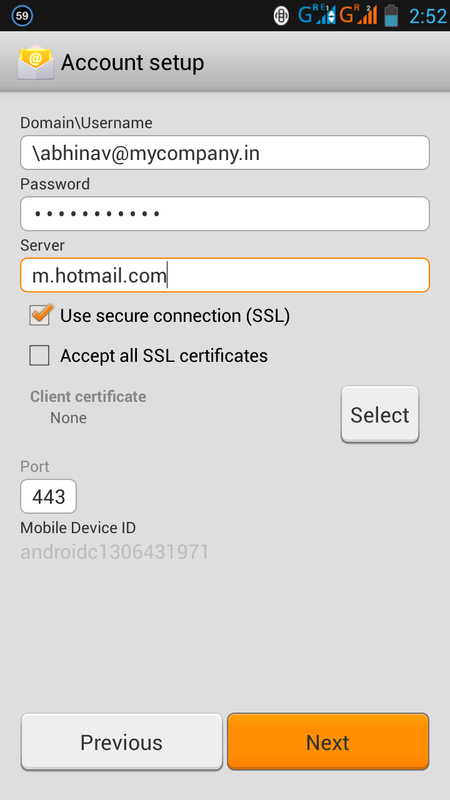 How can I delete a Hotmail account from the Email app on Android 4.4.2? Can I set up Lync account on built-in mail client? Can emails be filtered by GMail (or something else) for an IMAP account into a folder?